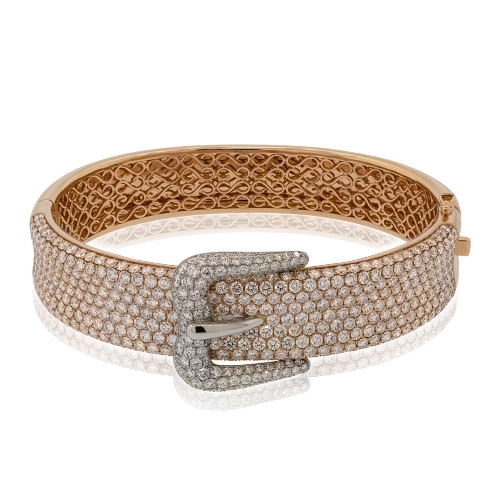 18k rose & white gold all pave set diamond bangle with center buckle design. Diamonds approx. 10.88ct.